On 25 November 1918, Gertrude Knott, of Canyon City, died at Nelson of Spanish influenza. 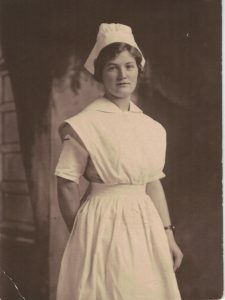 A recently-graduated nurse, she had been working at the hospital in Nelson when the epidemic began, and fell ill with it herself about 21 November. When I wrote about that on our “On This Day” posts on Facebook, there was a flurry of comments and messages: some from relatives wanting copies of the photo or obituary; many more inquiries from people asking how bad the flu was in the Creston area. The Creston Review, from late October to well into December 1918, is littered with references to the influenza and the impact it was having on people’s daily lives. It’s clear that the epidemic was widespread, and that it touched the lives of everyone in the Valley in some way. Two brief paragraphs in the Creston Review give us some hint as to how deadly it was. 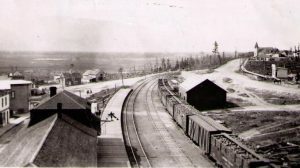 One reports that in November there were ten deaths in the Creston Valley, with the Spanish influenza accounting for many of them; and another states that eight people had died among the Ktunaxa people. Antoin, Mary, age 22, Lower Kootenay Band, died 12 November 1918. Cause of death unconfirmed. Antoin, Peter, age 9, Lower Kootenay Band, died 12 November 1918. Cause of death unconfirmed. Antoin, Susan, age 23, Lower Kootenay Band, died 10 November 1918. Cause of death unconfirmed. Knott, Gertrude (Gertie), age 22, Canyon City, died 25 November 1918. Was a nurse working at the hospital in Nelson when she contracted the illness. Miller, Andrew (Andy), age 40, Alice Siding, died 12 November 1918. Owned a fruit ranch (the log cabin still stands near the junction of Highway 3/3A) and left a wife and six children. Paskal, Isabella, age 20, Lower Kootenay Band, died 10 November 1918. Cause of death unconfirmed. Patty, Peter, age 32, Lower Kootenay Band, died 14 November 1918. Cause of death unconfirmed. Peter, Martina, age 60, Lower Kootenay Band, died 11 November 1918. Cause of death unconfirmed. Swanson, Clara, age 9, Lower Kootenay Band, died 13 November 1918. Cause of death unconfirmed. Telford, Rhoda, age 27, Erickson, died 5 November 1918. The name of the eighth member of the Lower Kootenay Band is still a mystery. I did find a death record for 11-year-old Agatha Louis, who died on 15 October 1918, but that would be quite early for the Spanish Influenza; judging from the newspapers, it wasn’t really making itself felt in the Valley until about ten days after she died. I’ve also been told that little Raymond Putnam died of Spanish Influenza, but unfortunately I have not been able to find any record of him in the sources available to me. So that makes eighteen people, that we know of, who died in that epidemic. 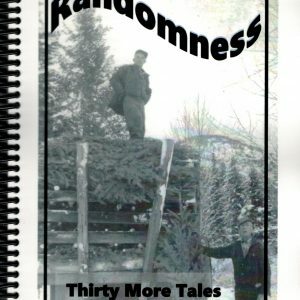 I have been trying to get some sense of how many cases there might have been altogether. Statistics for the whole province suggest that nearly a third of the population fell ill, which in the Creston Valley might be as many as 500 people, but that seems a bit high based on the few details available in the newspapers. 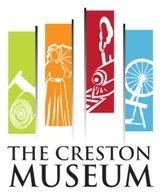 On 15 November, the Review reported that the epidemic at Creston was well in hand, there being at the time only 20 patients in the emergency hospital and only a few new cases being reported. There had been three deaths in Creston in the previous four days (I’m not including the ones among the Ktunaxa here, as they would not have been included in the ones the Review reported as being in the hospital). That represents a mortality rate of fifteen percent. 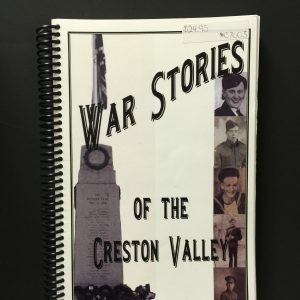 If we assume that rate holds fairly steady over the course of the epidemic, the seventeen deaths that occurred in the Creston Valley (not including Gertie Knott, who died at Nelson) might represent about 110-120 cases altogether. A week later, the Review reported ten cases in the hospital, ten more at Kitchener, “few” in private homes, and “some few mild” cases at Sirdar. That could mean twenty-five or thirty cases, at a time when the epidemic was waning. The first local case was mentioned in the newspapers on 25 October; the first death occurred on 4 November. The epidemic peaked between 10 -15 November, and new cases were still being reported on 6 December. The disease struck with little warning and spread like wildfire, so we can assume a pretty rapid increase following the first reported case. Say, five cases the week following 25 October; 10 the week after that; then 40; 60 during the worst week; and then tapering off fairly quickly to 30 on 22 November, 20 the week after that, maybe ten during the first week of December, and a few lingering ones after that? I’m guessing here – I am by no means an expert on contagious diseases – but that would give us a total of about 180 cases. That’s quite a bit lower than what appears to be the provincial average – but the Creston Valley was pretty prompt in prohibiting any and all public gatherings and discouraging any kind of congregating (including at the post office – don’t call for your mail until we’ve had a chance to sort it!). And rural parts of the province tended to fare better than the larger centres, so those two factors may account for the apparent lower-than-average rate. 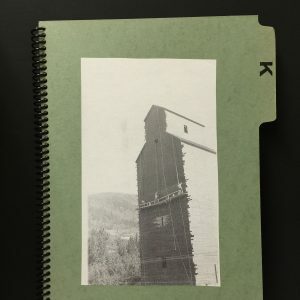 It may have been higher among the Ktunaxa people; one newspaper article refers to it being “particularly virulent” among the Ktunaxa, and suggested that they might have been less likely than the rest of the population to adopt the precaution of wearing masks. Nevertheless, the impact of the Spanish Influenza was widespread. 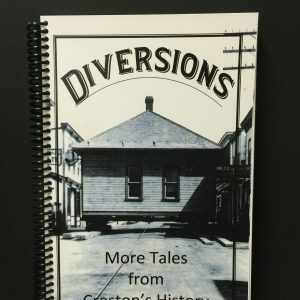 Every church in the Creston Valley was closed; almost every local school was closed; schools and smelters and businesses throughout the province were closed, throwing all sorts of locally-connected people out of work. Many local residents were called out of town to help family members who were sick. Daily chores and family tasks were put on hold so people could help out at the emergency hospital. Dr. Henderson, the only doctor in the Valley, worked himself ragged trying to help everyone, aided by a small team of volunteer nurses that probably included his wife, trained nurse Ellen Ida Knox Henderson. 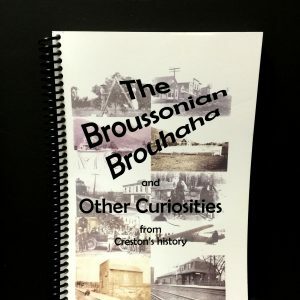 And there were undoubtedly people closely connected with the Creston Valley who died elsewhere. The newspaper tells us of one such person: William G. Laing, who died at Vancouver, only a month or so after marrying Phoebe May, the youngest daughter of the Butterfield family of Wynndel. One question that came up while I was digging through all these records is: where was the emergency hospital located? One reference in the newspapers says it was located in the “old Grady building.” So I went on a search to find out where that might have been, and found an ad, in December 1909, for a new blacksmith shop located “next to the Grady barn, opposite the Creston Hotel.” That narrows it down – it was somewhere at the top of what we now call Lower Canyon Street, in the vicinity of the present-day Senior Citizens’ Association hall. We might even have a picture of it – it’s possibly one of the two large buildings near the left-centre of this photo. That’s the freight shed and CPR station in the left foreground – I think the Grady barn might be the darker building with the cupola immediately beyond the peak of the station roof.